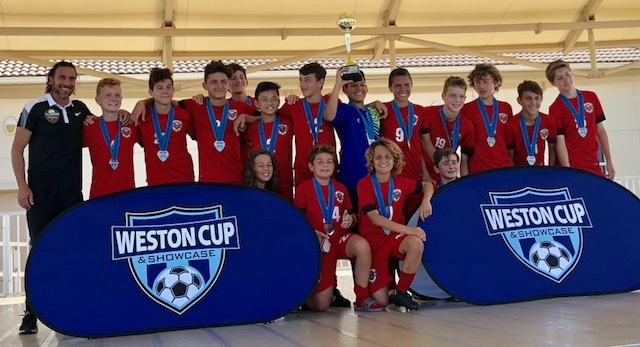 Congratulations to our 2004 Boys Premier team coached by Martin Gramatica. The boys just won the prestige Weston Cup in the top Division. They beat the #1 ranked team in the State (Space Coast United) 2-1. Way to go boys!